If you are having infertility issues, The Wellness Path has a natural solution to help. Our fertility program usually begins about four months before a woman is looking to conceive. We work with both the husband and wife. Chiropractic, supplements and nutrition are used to get them stable preconception and then after. The nervous system is what controls every single function (cell, tissue, organ) in your body. If you are having difficulties trying to become pregnant, there is a good chance there is a subluxation occurring in your nervous system which is affecting how your body functions. Your body has an intelligence within it that governs and controls all things which we call, “innate intelligence.” This intelligence knows when the body can take on the extra stress of pregnancy and when it will not be able to. Having a chiropractic exam and neurological scans (insight subluxation station) can reveal if you have subluxations within your nervous system but more importantly, how well your body is functioning. Before a mom becomes pregnant, it is essential for a mother to make sure her hormones are balanced. We determine this by the experiences of a mother’s menstrual cycle. A woman’s menstrual cycle can share much information as to how the mother was doing 3 months prior to her current menstrual cycle but more importantly, we can analyze to see how well a mother’s hormonal balance. We also address nutrition for those who want to become pregnant and other practice members. To ensure that your body gets the proper nutrition it needs. We will utilize specific nutrition to help your overall health and help with improving your ability to conceive. 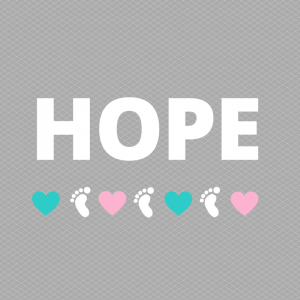 If you’ve experienced fertility issues, we want to help. Contact us today!